Tuscan Recipes - Zuppa Toscana and other recipes from Italy's most popular region! Holidays in Tuscany Visit our travel guide on Tuscany to help plan your trip! Visiting Florence? Learn more about Florence, Italy at VisitFlorence.com and about the Chianti region at Chianti.com. Italian recipes from Tuscany, from soups to main dishes to dessert! I've just put up a new recipe for crostata di marmellata, hope you'll enjoy! The work on the Italian version of the site is taking more than I initially thought, it is definitely a work-in-progress so please be patient. We've got the actual Olive Garden Zuppa Toscana recipe, shared by someone who used to work there. It makes a great winter soup! This site is dedicated to Italian recipes from the central region of Tuscany, which is probably the best known region outside of Italy for its beauty, history and charm. Everyone who has ever been to Italy has fallen in love with its history, landscapes, art, architecture, and, of course, its FOOD! Even those who have never been to Italy already know Italian food in some shape, taste and form - who has never eaten pizza or spaghetti pasta? Actual visitors to Italy, however, will have discovered that the Italian food they know from back home does not taste, and sometimes even look, the same in Italy. First, each region has its own culinary specialties and own versions of a common Italian dish. Something as commonplace as a pizza is made differently in Naples, Rome, Florence and Milan! And second, once you've tasted some of the regional dishes in Italy, you'll want to discover what makes them particularly good, or different, from what you've tasted before so that you can recreate that dish once you're back home. 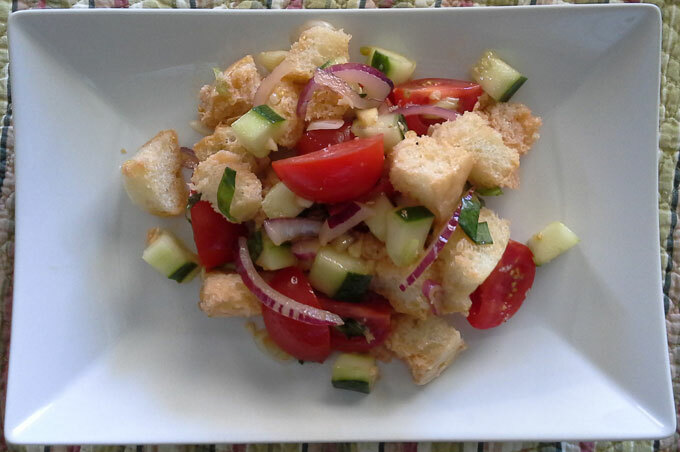 With this site, I hope to share some of the more traditional recipes from Tuscany with the rest of the world who surfs the Internet for interesting and new dishes to prepare. It is my way of bringing Tuscany to your corner of the world, wherever you may be. As there are thousands of recipes on the Web just on Italian-style dishes, it is not my intention to replicate those recipes on this site. It is common practice to take recipes and personalize them, so I hope you'll find some of the recipes on this site interesting enough to try them and then make any adjustments to satisfy your tastes and make the recipes your own. Please write to us if you have any recipes you'd like to add or suggestions to make this site better.